I am writing on behalf of Mr. Shambhu Jowardar,father of the aforementioned child. 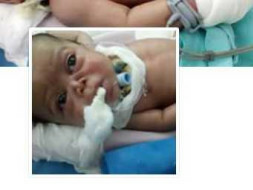 He was born with a very rare condition , bilateral choanal atresia,which means the abscence of bony part of the nose.As a result the child has nostril but no airway. 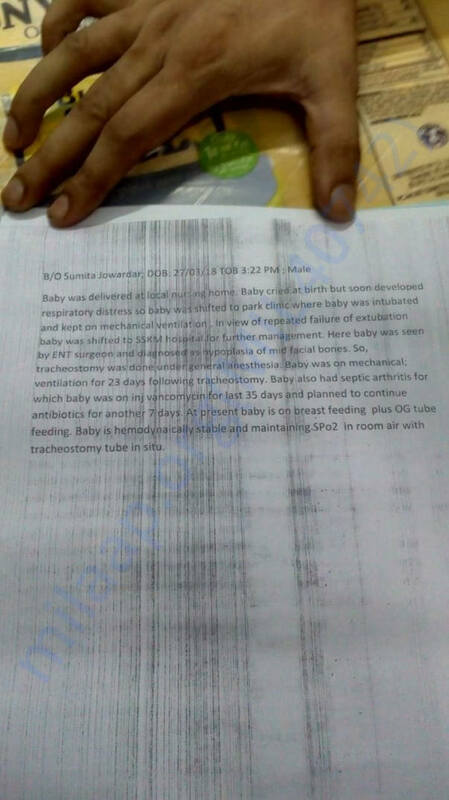 He had been admitted to 3 hospitals so far, including IPGMER,KOLKATA. 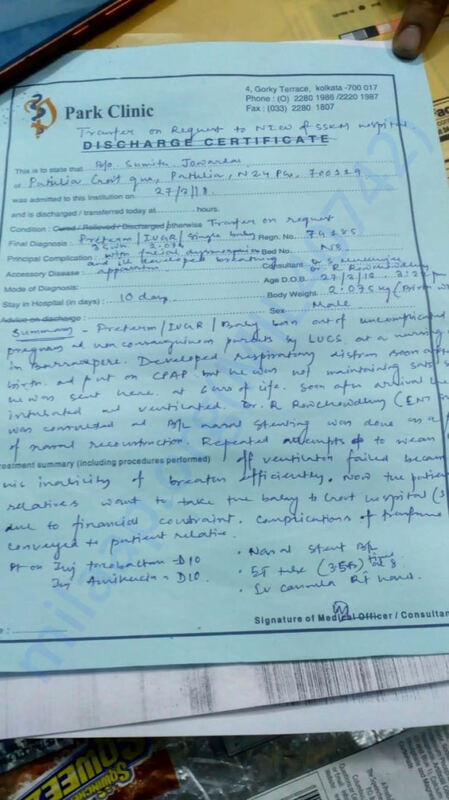 But so far no definite treatment could be done due to lack of infrastructure here,thats why he had been referred to hospital with more sophisticated infrastructure. Doctors have estimated around 10 lacs will be needed for his surgeries ( around 6 surgeries will be needed) and for 1.5 months hospital stay. His father is unable to bear this amount of expenses and therefore is requesting to you all to extend your hands..